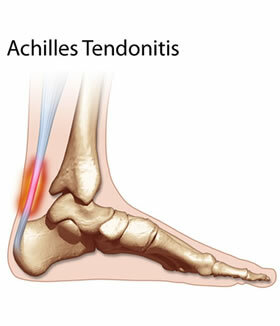 Achilles tendonitis is an inflammation of the Achilles tendon which attaches the calf muscles to the heel bone. Excessive stress on the Achilles tendon can cause micro tears and inflammation in the tendon. In some people this stress can lead to a rupture or complete tear of the tendon.